We’re all familiar with the tale of the three little pigs and how the Big Bad Wolf blew down the first little pig’s house, a questionable dwelling built entirely from straw. Apart from having us wonder how it stood up in the first place without a frame, we all grew up knowing that a house made of straw was a bad idea. However, an engineering research project in the UK is showing that maybe the little pig was ahead of his time in construction innovation. This week, the first straw houses offered on the open market in the UK are up for sale. So huff and puff as much as you like, but you’re going to have to try harder than that to blow these houses down! The research project was the brainchild of the University of Bath and Modcell, a specialist architectural firm. The hope is that the research, and the subsequent sale of the houses in Bath, will lead to the wider use of straw bales in construction. The benefits of using straw are worth noting. Straw bale houses are more environmentally friendly to build and maintain than traditional brick houses and with proper care, the house will last for up to 100 years. 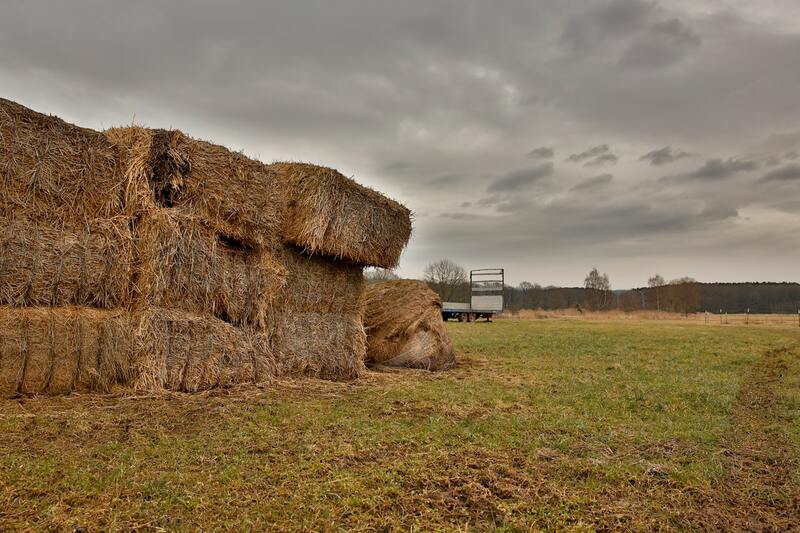 As straw is a natural material, the requirement for the production of raw materials will be reduced. This will in turn lead to a lower carbon footprint for the supply chain as the processes for manufacturing cement and firing bricks, both of which require high energy usage and generate substantial waste, will not be required. Straw can be sourced relatively easily. Each year, UK agriculture produces an estimated four million tonnes of straw, of which only a small proportion is used, with the remainder just being burned. A new house would require seven tonnes of straw to build, meaning that there would be a potential to build half a million new homes from the straw produced each year. Not only are the building method and supply chain more environmentally friendly, but also the houses themselves have significantly lower running costs and environmental impact. The bales provide highly efficient insulation and retain heat more effectively than their brick counterparts. The expectation is that the houses in Bath will have energy bills that are up to 90% lower than similar houses in the area. 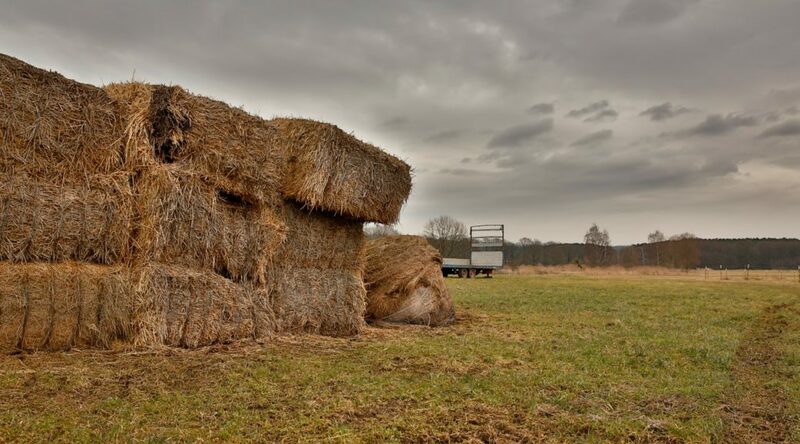 It’s hoped that these innovations, plus the potential for a wider market for straw houses, could lead to a much more sustainable supply chain and industry as a whole. For more on the straw houses go to http://www.modcell.com/. Illegal “pirate” fishing damages the environment and human rights, and leads to economic losses of as much as $23.5bn (£15.3 bn) a year, according to fresh guidance which aims to help British businesses keep illegal fish products out of the supply chain and stamp the practice out. A briefing published by retailers, conservation and human rights groups sets out in full how retailers and suppliers should act to end the long-term threat to the oceans, while building up legal and sustainable fisheries. The briefing by the British Retail Consortium, Environmental Justice Foundation and WWF UK is to inform UK industry, retailers and brands of the risks associated with illegal, unreported and unregulated or pirate fishing. It offers advice on risk-assessment and mitigation, and encourages action to prevent illegal fishery products entering UK supply chains. As much as 26 million tonnes of illegal fish products is involved annually. Tesco risks a fresh dispute with suppliers after it demanded they cut their prices or risk being dropped from supermarket shelves. The grocer has written to suppliers asking them to reflect recent falls in the cost of commodities such as wheat and sugar. In some cases, those who do not decrease their prices have been told they risk being ditched by the supermarket in favour of cheaper rivals. The revelation comes only days after the grocery giant faced a fresh investigation into claims that it bullied firms that it buys goods from. A probe by the supermarkets watchdog the Grocery Code Adjudicator has begun over allegations it charged huge sums to place suppliers’ wares on prominent shelves, even if they were not on promotion. How Will Global Supply Chains will be Impacted by Obama’s Budget? In his 2016 budget plan, to be unveiled today, President Obama will propose that U.S. companies’ overseas profits be taxed to fund a major boost in infrastructure spending. These tax proposals could change the way the Tax Efficient Supply Chain (TESC) operates. When highly profitable companies pay little in the way of taxes, negative press coverage can ensue. But CEOs are asked by financial analysts about their corporate wide effective tax rate (ETR) all the time. This can be a no win situation for a CEO. A company with a high effective tax rate is at a significant disadvantage to industry competitors with low tax rates, particularly in the company’s ability to grow the business. And ultimately a CEO’s tenure is often most strongly impacted by the financial community’s view of his company’s performance. Not surprisingly, many large companies have restructured to lower their tax burden; it is not unusual for these companies to lower their ETR by about five percent. While supply chain cost savings fall to the pretax bottom line and improve a company’s Net Income position, corporate tax restructuring increases deferred revenues. Some large corporations are sitting on tens of billions in deferred earnings that can’t be used for stock owner dividends, without being taxed at US rates, but can be used to fund growth and thus future earnings, in a variety of ways. Ecommerce is fuelling a boom in logistics property investment in Europe, as retailers try to keep pace with changing consumer demands. Investors pumped €19.8bn into properties such as warehousing and distribution hubs in 2014, a seven-year high and a 34 per cent jump year on year as companies scramble to adapt to evolving supply chains and developers position themselves to profit from the thriving sector. The UK led the way, with investment in the sector jumping 65 per cent to €7.9bn, according to Property Data. But investment accelerated on the continent too, as European eretailers expanded and cross-border ecommerce took off. “You’re doing the stuff inside the distribution centres that you used to do inside the shop . . . Companies are having to reorganise their distribution logistics,” said Alan Braithwaite, chairman of LCP Consulting. In a world full of technology, it can become a hectic existence trying to wade through the myriad of business apps as part of your day-to-day working life. But there is a new platform on the horizon which could solve this issue for supply chain executives. Businessfriend is the one-stop communications channel that helps you stay connected with the people and professionals that matter the most to you. Whether that be warehouse operatives, production line managers or managing directors. Consolidating the noise with one effective business communications platform, businessfriend launched on 6 January during the three day CES event in Las Vegas, and it promises to redefine how business is done in the supply chain sector. Recently, McDonald’s, the world’s iconic largest food service provider, has been (forgive the cliché) through the grinder. Poor performance has led to the departure of its CEO and plenty of critical attention in the business pages. Part of this story relates to the provenance, or origins, of its products: Chains that provide more upmarket “fast casual” dining such as Panera, Chipotle, and Shake Shack have brands that speak of freshness, health, and trustworthy sourcing. In 2010, I wrote an HBR article predicting increased interest in supply-chain transparency: firms needed to develop strategies for knowing and explaining where stuff comes from. Since then the idea of product provenance has steadily crept up the corporate agenda and is now a compulsory issue for boards and governments. In the UK, for example, legislation is in progress that would build on the California Supply Chain Transparency Act, potentially applying to wider range of firms. Across Europe, the 2013 horsemeat scandal generated widespread panic about contaminated meat. In a wide range of industries — electronics, software, toys, aerospace — provenance is increasingly a critical concern. McDonald’s woes offers three lessons for others about supply-chain transparency. Visit Harvard Business Publishing to read them.